The Atlas of Breeding Birds of Connecticut is a valuable resource for anyone seeking information on the natural history of Connecticut and southern New England. Birds in particular constitute a valuable group for scientific study, for measuring environmental quality, and for enjoyment of life as our companions in the garden and on our walks. Everyone from the casual birdwatcher to the professional ornithologist will find this book an important tool for better understanding the natural diversity that surrounds us. 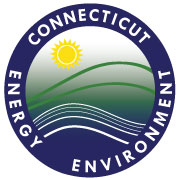 The importance of preserving this natural heritage has become increasingly clear to the citizens of Connecticut. For those concerned about preserving our environment, this atlas offers the evidence of change and the means to apprehend what is required to preserve our birds and all their natural interactions. This atlas represents countless hours spent by volunteers, both professional and amateur, gathering information on the birds which breed in Connecticut. Over a designated five-year period, more than 500 individuals went into the field to survey birds in nearly 600 ten square mile blocks defined by a map grid covering all of Connecticut. The purpose of this study was to set a baseline of scientific data on breeding birds in Connecticut. The maps and accompanying text form the core of this atlas. Each account details the habitat requirements as best known for the species in Connecticut. Also discussed are historic status, population trends, and relevant conservation issues. The results of this atlas have already been used to help define birds that are Endangered, Threatened, or of Special Concern in Connecticut. We hope that it will provoke others to gather more information on the biology of Connecticut's birds to fill the gaps in our knowledge.